With us at DressDivine.com.au you have the option to pay directly with your Credit Cards through PayPal's payment gateway. PayPal is the market leader in online secure payment with millions of customer safely trading through their payment gateway. Paypal accepts most common Credit Cards such as Visa, MasterCard, American Express and others. 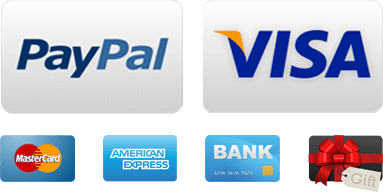 Please note that you do NOT need a PayPal account to complete your order with us at DressDivine.com.au. You may select to purchase any of our items that are available in stock directly from the product page using PayPal’s Express checkout button. You will be redirected to PayPal’s secure payment page where you can either enter your credit card details and pay or login to you PayPal account and complete the order from there.